The BMW M8 GTE was developed a bit ahead of the production model, a rather atypical approach for BMW and its Motorsport division. Then again, how could they miss out on so many endurance events that took place at the beginning of the year? Since the GTE will be used in such motorsport events quite a lot, the engine under the hood had to be developed in such a way that it would sip as little fuel as possible, to make sure pit stops are reduced to a bare minimum. 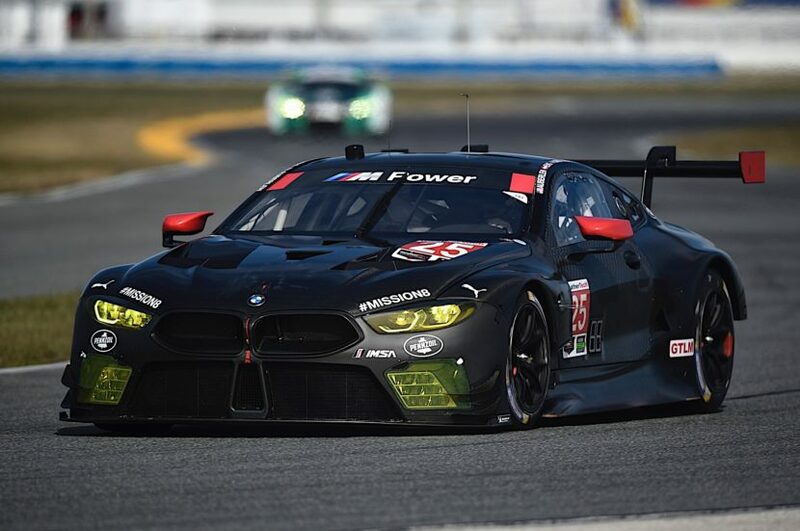 That mission was achieved according to BMW Motorsport, claiming that the V8 engine of the BMW M8 GTE is the most efficient racing engine they ever developed. With the start of the conception phase for the new GTE engine, the engine designers at BMW Motorsport embarked on their most comprehensive project since the development of the power unit for the DTM comeback in 2012. In total, more than 500 engine design drawings – and another 500 drawings for the powertrain – were created in the following months. 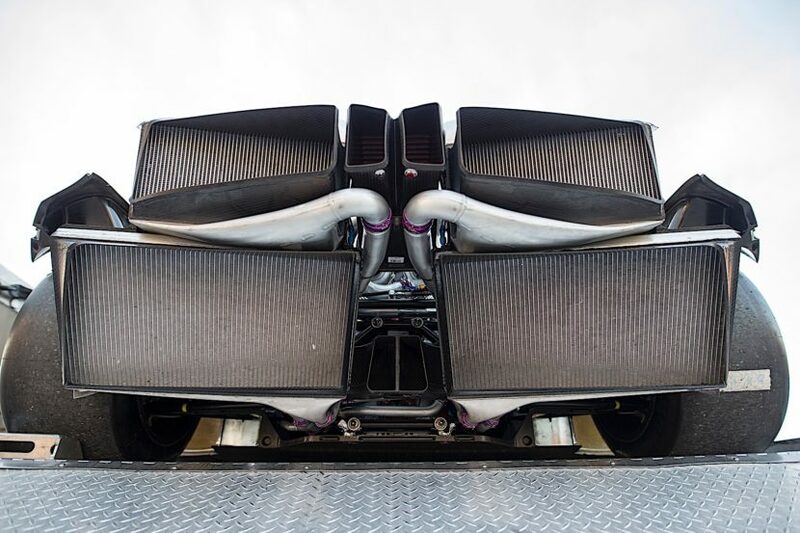 The result of that work is the most efficient engine that BMW Motorsport has ever developed, delivering between 500 and more than 600 hp (depending on the specifications of the sporting authorities). Codenamed P63/1, the motor passed its first performance test at the modern BMW Motorsport test rig in Munich on 20th January 2017. That was a special moment for the engineers – as was the roll-out of the car on 1st July 2017 and the race debut at the 24 Hours of Daytona (USA) on 27th January 2018. The goal during development was as clear as it was ambitious: to develop the most efficient engine ever to power a BMW race car. To achieve this, it was very important to choose the correct base engine that would then be developed to competition spec. In this regard, the engineers decided to use the BMW S63T4, the same V8 used on the F90 M5. As stipulated in the regulations, the cast parts in the engine block and cylinder head were adopted without modification from the production power unit. Both components were made in the light-alloy foundry at BMW Group Plant Landshut. Aside from the regulated cast parts, the engine in the BMW M8 GTE – containing approximately 2,300 further components, including 985 unique parts – required comprehensive modifications. Of these parts, 181 were derived from series projects, while more than 700 were specifically developed for the P63/1 or added from other BMW Motorsport racing engines. The engineers reduced the capacity from 4.4 to 4 liters, in line with regulations for the GTE class. The new design of the crank drive involved the implementation of a flat crankshaft, which brings with it the advantage of a regular firing order and gives the engine an even sportier sound. The geometry of the combustion chambers, including the inlet and outlet ports, was also modified to ensure that the P63/1 is ideally designed for the demands of racing. Comprehensive modifications to the intake and exhaust system, and the complete redesign of the turbocharger, have also helped to improve efficiency. Among other things, this results in the fuel burning very quickly and comprehensively at the optimal time, at a maximum temperature of over 2,100 degrees Celsius. This allows the P63/1 to achieve efficiency levels well above 40 per cent. This makes it the most efficient BMW racing engine ever in sports car and touring car racing.